General gynaecology: including the management of menstrual disturbance, endometriosis and HRT related problems and pelvic organ prolapse. Urogynaecology: Offering a comprehensive range of investigations and management options for the management of female urinary incontinence. Reproductive medicine: Offers investigations, advice and management of infertility problems. Gynaecological oncology: Gynaecological oncology deals with the screening and management of cancer within gynaecology. In addition we provide a range of emergency facilities with the Early Pregnancy Clinic and the Emergency Gynaecology Clinic which operate on a daily basis. All outpatient services apart from Oncology and Fertility are located at the Lancaster Suite in the Maternity Building Level 6 of Derriford Hospital. Please report to the receptionist and make yourself comfortable in the seating area. A nurse or doctor will call you. Please make sure you allow enough time for car parking. Lead clinicians are Mr Hughes (gynaecological surgeons) and Dr Yannakis (oncologist). 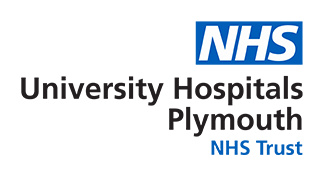 The outpatient department is located at the Cancer Centre at Level 2 of Derriford Hospital. Dr Acharya and his expert team will advise you if you need investigations and help with fertility. A full range of treatment options are available. This service is available to all healthy women who undergo small to intermediate procedures like D&C's or laparoscopies (keyhole surgery). Most of those procedures will be performed at the Freedom Day Case Unit. You can also choose to have your hysteroscopies (look inside the womb with a small telescope) done in a special outpatient clinic at the Lancaster suite. If you have problems during the first four months of your pregnancy, your GP can refer you to the EPU, usally within a couple of days. Highly trained and motivated staff will be able to offer ultrasound scans and complete care for you.